Now to get to the good stuff… We are in the process of turning my sister’s spare bedroom into a super cute LuLaRoe show room! 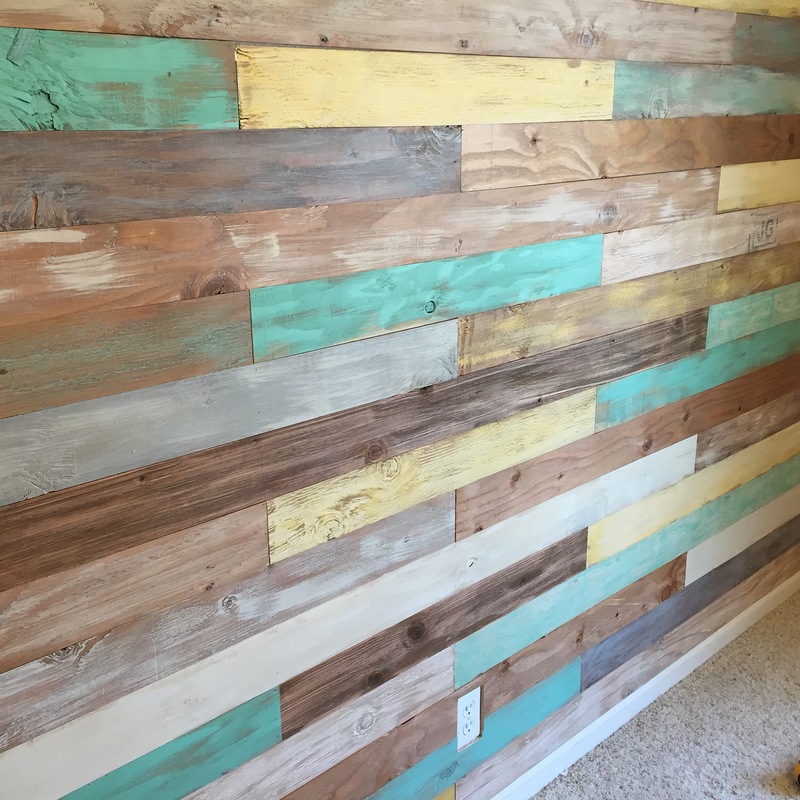 She wanted a shiplap accent wall, but didn’t want to deal with the hassel and the cost of installing true shiplap, so we had to get creative! we decided to use 3/8 inch plywood instead of pine. We did this for several reasons. First being cost. One 4×8 foot sheet of plywood only costs about $11. Second being convenience. 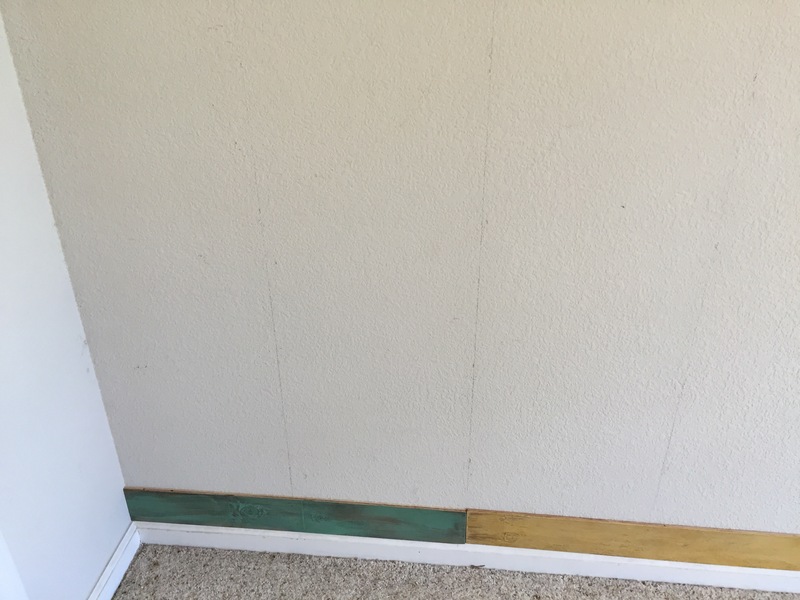 Plywood is thinner than your baseboards and mouldings, so you don’t have to rip off all your trim to install it. This is going to make your life exponentially easier! 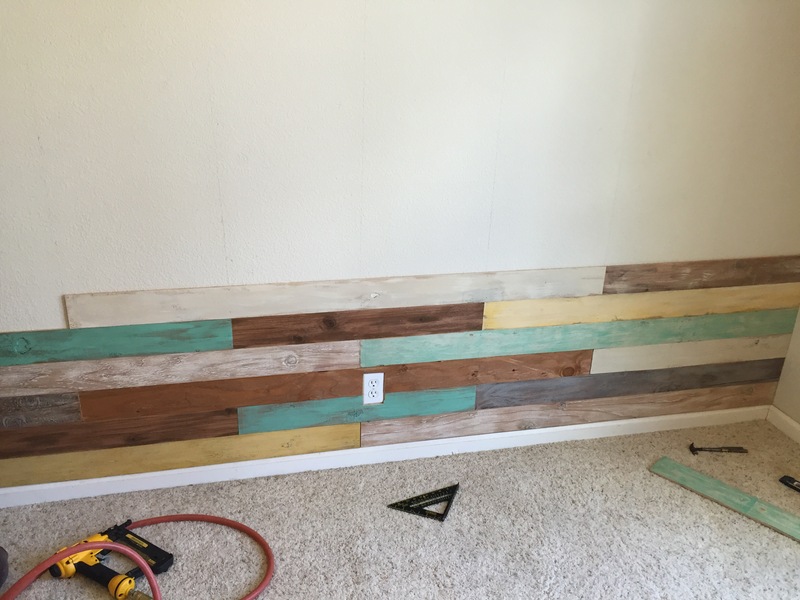 Before you get started, measure your wall and come up with a plan! 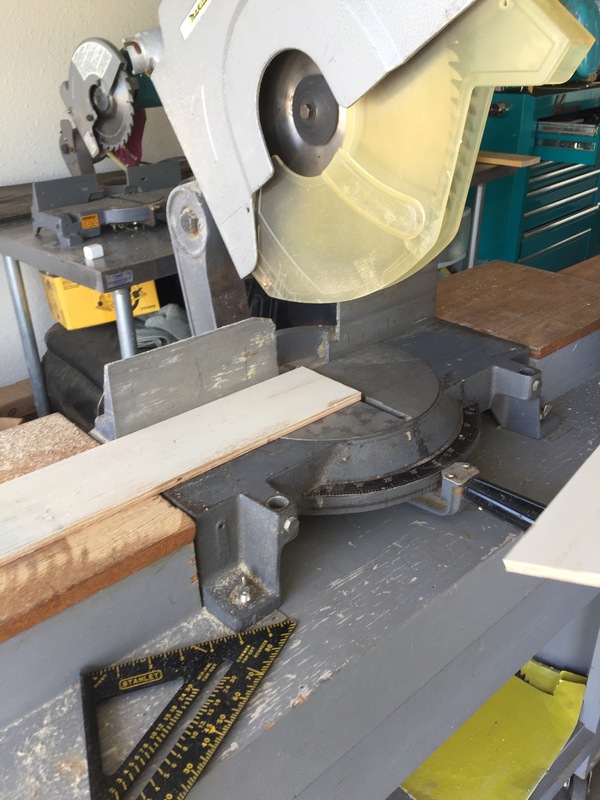 You are going to be cutting your sheet of plywood into boards, so decide how wide you want your boards to be. We decided that 4″ wide boards would look best in our room. After that, decide how long you want each board to be. 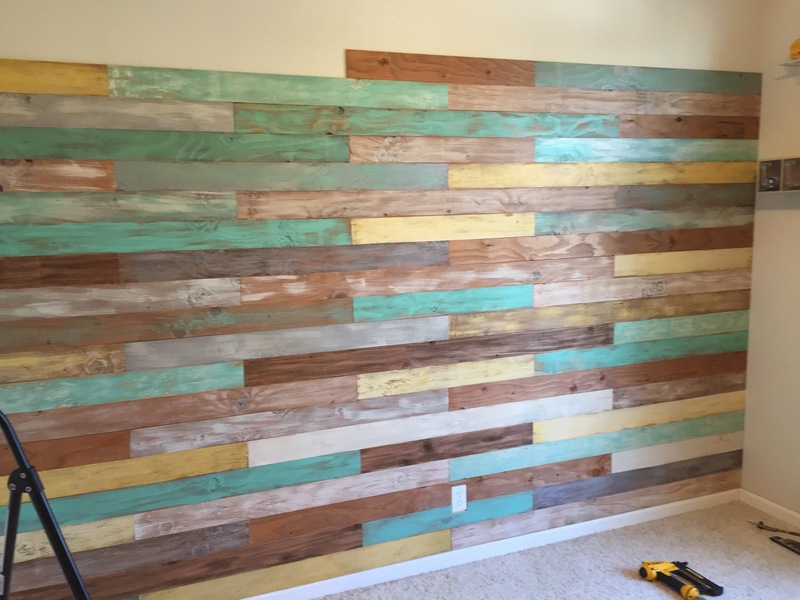 Take into consideration what board lengths will be best given the length of your wall. Choose a length that will cause the least amount of waste. Wasted wood is wasted money! We chose 4 and 6 foot long strips and staggered the seams. Once you have decided, start measuring, marking, and cutting! Measure and mark carefully so you don’t make mistakes and waste. 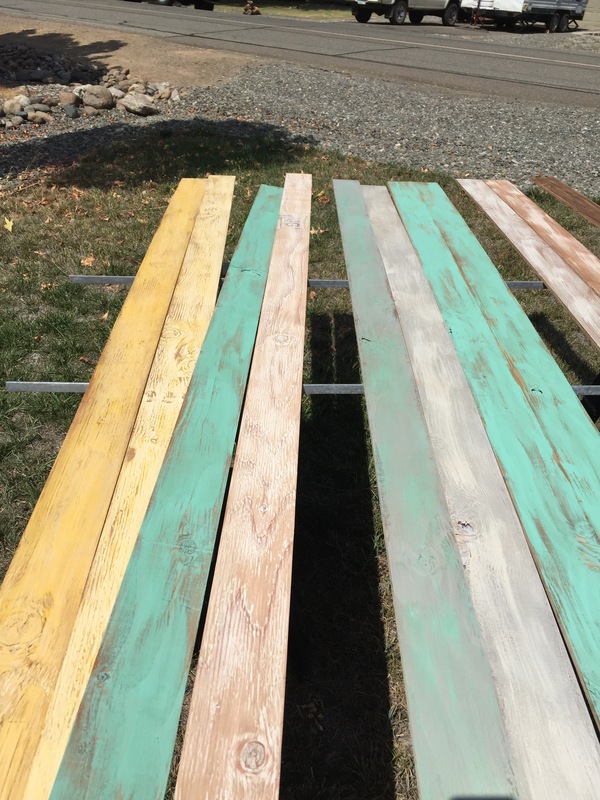 If you’re going to paint your boards various colors, cut first and paint after. If you want them all the same color, it would be most efficient to paint before you cut. We painted after we cut because, as you can see in the pictures, we wanted a multi colored wall. 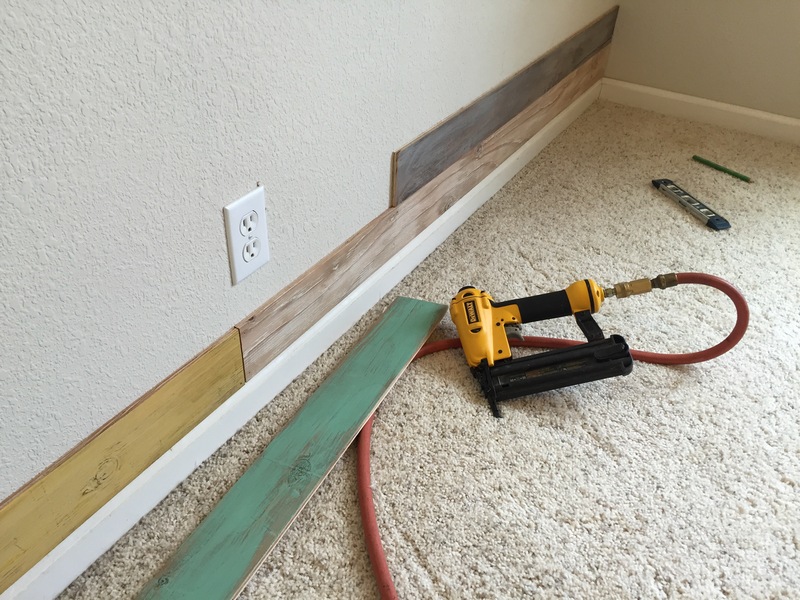 Once you get all your boards cut and painted, you can begin to install! I can’t stress this enough, planning is the most important part of your project! 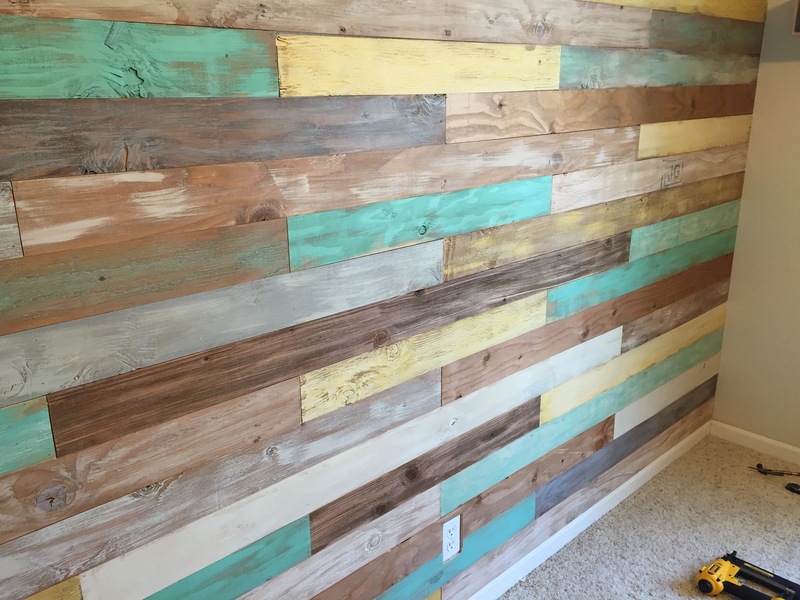 Measure and mark your wall before you start nailing your boards up. It’s kind of hard to see, but we marked lines on the wall where we wanted our seams so be staggered. We used a finishing nailer to attach the boards to the wall. We used two nails on each end and 2 nails in the middle of each board. There’s no need to go crazy with your nail gun. Keep on going… And going… And going… And then take a step back and admire your beautiful work!! Next > DIY Curtain Rods for Just Pennies a Foot! Hi Connie! I just asked my husband and he corrected me. We actually used quarter inch plywood. We got it at Lowes. It may have been on special when he purchased it. Hi Kimmie! It’s called dry brushing. Put very little paint on your paintbrush and do lots of brush strokes until your brush is dry, then apply a tiny bit more. You don’t want a thick coat. Absolutely love it! Could you be specific on your paint type / colors. I would love to know what colors you used also. Love your wall super cute! Hi Abby! I guess I totally dropped the ball answering Bryan’s question too, huh! I’m so sorry! Lemme go check and I won’t get side tracked this time!! Lol!! Thank you so much for the complement!! Okay! Here we go! It’s actually only three colors. And my sister made a stain out of tea as well. We just mixed and layered to make all the variations. The blue/green is called Nifty Turquoise by Sherwin-Williams. The yellow is called Sundance by Benjamin Moore. The gray is called Repose Gray, and it is also by Sherwood Williams. And the white is just basic ceiling paint from Glidden. Thanks for your patience!! So do you stain all the wood first and then dry brush over the stain? Not all of them. I did stain some of the colored ones before I painted them to get more variation, but some of them I just dry brushed without stain.